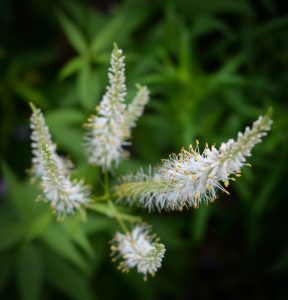 This large, erect perennial boasts of long white flowers. The flowers are portrayed in graceful, elegant spikes which are comprised of tiny, tube-like flowers. Grows best in full sun but will tolerate some shade.